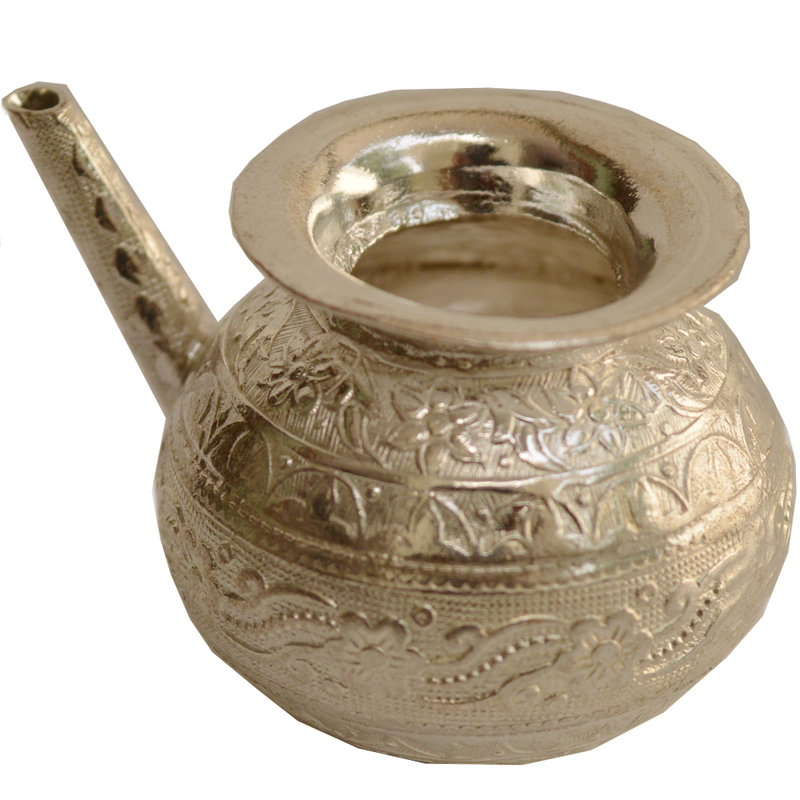 This German Silver Pooja Ramjhara boasts of fine design work on its body, which combines well with its quality alloy body to make it suitable Read More..for the most lavish and fashionable of households. This piece provides a fine display of traditional craftsmanship through the carvings present on its body, while also being ideal for buyers looking to perform holy rituals during their everyday pooja or on auspicious occasions. Therefore, it combines the right balance of aesthetics with a highly utilitarian aspect to make it endearing to lovers of such fine piece of work. Show Less..